Glastonbury. Journeys in the Chalice Well Gardens. Staying in the Chalice Well House where Dion Fortune once made her home and her Work. Stonehenge. The Cadbury Castle ruins. Ancient Oaks. Glastonbury Tor. Sacred sites. Sacred pulse of the Earth, of times converging as one. Dion Fortune’s grave. Spider. 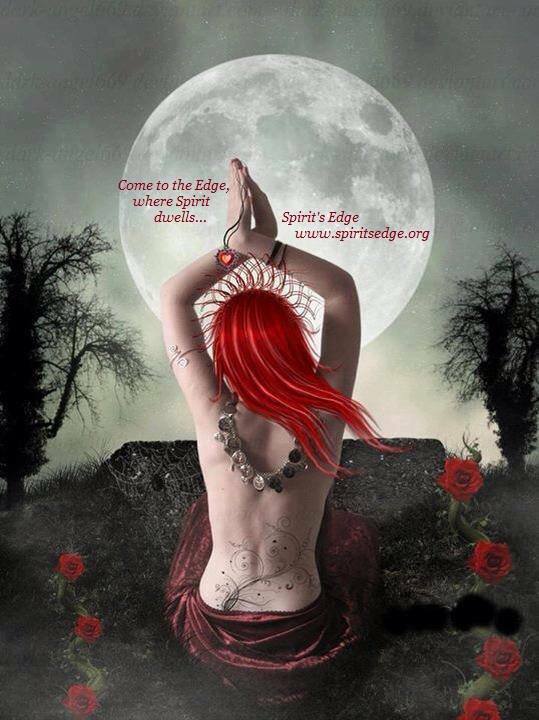 Come to the Edge, where Spirit dwells… http://www.spiritsedge.org and join our community at https://www.facebook.com/groups/143014982512092/. That is where this blog all started, when I took part in the Temple of Witchcraft Pilgrimage to Glastonbury in August 2011. You can read a little about my experience with Dion Fortune in my blog post HERE. 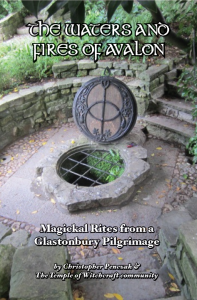 You can also read more details about our pilgrimage, including essays from my experiences while on the pilgrimage, in the Temple of Witchcraft’s anthology The Waters & Fires of Avalon, which you can find online. In Glastonbury I received many teachings. I received initiations from the Ancestors, the Crystal Kingdom and the Mighty Dead and more messages from my higher self. Books of teachings were given to me, pressed into my heart, my hands, stacked onto tables in my Inner Temple’s memory library, which is a branch of the Akashic Records. This was to accelerate over the next three years. They said to teach, write and lead rituals/ceremonies. And so did my higher self. I ignored them and my higher self for a bit. And then I started writing for the first Temple anthology book, which was to become the first of many. I began writing. Many of my teachers and mentors over the years had told me that they saw me writing books, teaching and leading ceremony. I had already been mentoring multiple students in the Temple of Witchcraft’s Mystery School when I was involved in that and found that work very fulfilling. After this experience, I went on to also moderate for the Temple’s online apprenticeship classes, serving as the online moderator/mentor for Witchcraft II and then Witchcraft III when I was involved in the school. It was an amazing experience. I learned so much! I continued in my work on many levels, in my studies both formally through three organizations and through other teachers and on my own. More guides and deities gifted me with teachings and books, as I received more messages from my higher self. I helped my grandmother die. I performed her funeral and burial service. Then Spirit’s Edge and Spirit’s Edge: A Seeker’s Salon were born in concept in May 2012. Within just a few months, by August 2012, all of it had been formed, and we held our first public ritual at Mabon of that year. 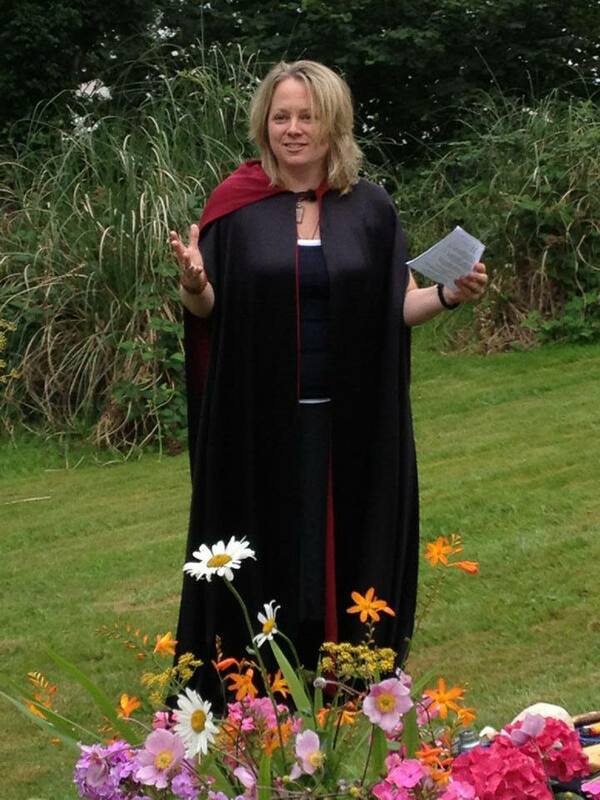 At the June 2012 St. Louis Pagan Picnic, I taught my first class for the Temple of Witchcraft on one of its teachings from our Glastonbury Pilgrimage – The Apple Tree and the Isle of Avalon was the title of my workshop. My first workshop! I was so excited…and terrified. It was a powerful experience. I also wrote an essay, My Journey with the Apple Tree, for the Temple anthology The Green Lovers: A Compilation of Plant Spirit Magic. That fall, the teaching was to start in earnest. First it was the salon discussions at our Spirit’s Edge: A Seeker’s Salon rituals, but that was not enough. My guides kept pushing me, my higher self was emphatically trying to get my attention. My life shifted. The time is now. Though kicking and screaming a bit still, with a heavy dose of questioning, I did it. I said yes. I partnered with my fear. 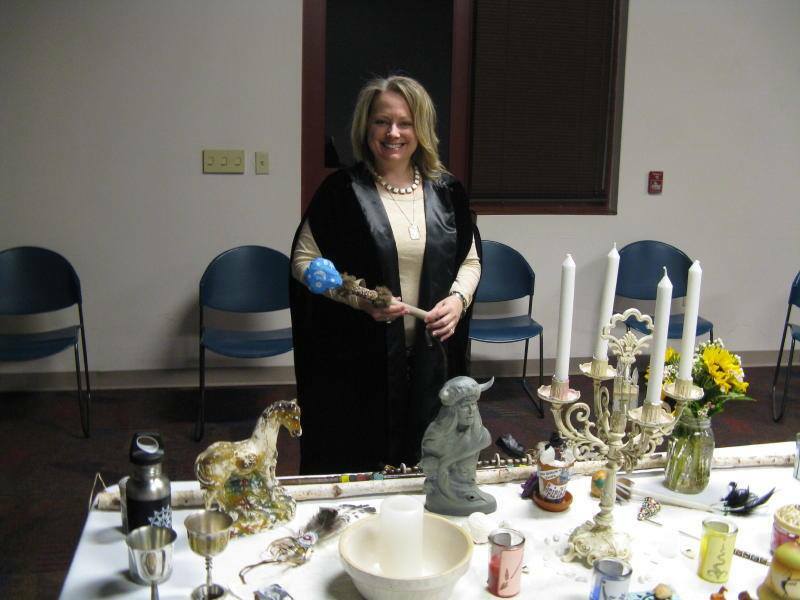 I started teaching at a local shop, the Center for Mind, Body & Spirit, and I taught a 12-month series on the sabbats and the energies of the seasons, and a four class series on intuition and inner development. This was the precursor to the Spirit’s Edge Witchcraft apprenticeships. I taught other classes such as several crystal class series, classes on animals, death, love and more, including in my new magickal teaching space, The Witch’s Croft. This was not to be enough. More teachings, more writings kept coming through. More gifts, more books were pressed into me in every journey, powerful messages from my higher self, integration with experiences of past lives and ancestral healings. All of this accelerated through the Witchcraft IV High Temple of Witchcraft class and my graduation from the Temple of Witchcraft’s Mystery School in December 2012. After my graduation from Witchcraft IV, I took the many lessons I had learned and the degrees I was awarded during my time at the school, and from my teachers before that, and began a journey of discovery outside and beyond the Temple of Witchcraft studies, exploring the mysteries completely on my own for the first time in many years. My womb journey. Life, death and rebirth. My birth. My ordination as a minister. Much was being born as I journeyed within and rebirthed myself. As I fully stepped outside the Temple I knew, and journeyed through these intense struggles, a new tradition was being born. Through my womb, through my journey. Though I was doing my absolute best to ignore it! You can read about part of my womb journey and story of rebirth in my Winter Solstice Shackles Off blog post HERE and in my blog post on Water and Gratitude HERE. You can also read about 2013 as A Year of Fabulous Firsts HERE. Wow. By June 2013, I announced the first Spirit’s Edge Witchcraft apprenticeships – starting my own Witchcraft I class in November, and also a Witchcraft II class as I had many folks ask me for that one as well. 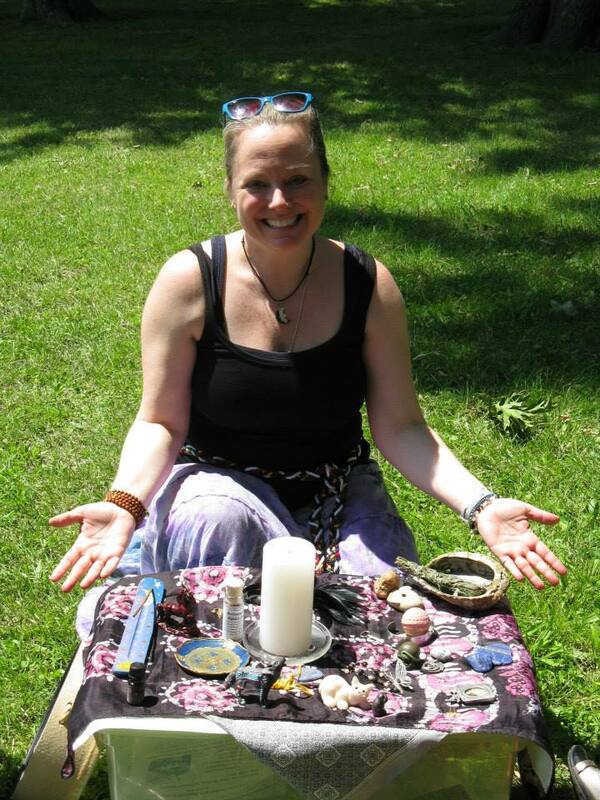 It was also the time that Spirit’s Edge and Spirit’s Edge: A Seeker’s Salon had their formal debuts with the honor of performing the Opening and Closing Rituals at last year’s Pagan Picnic. 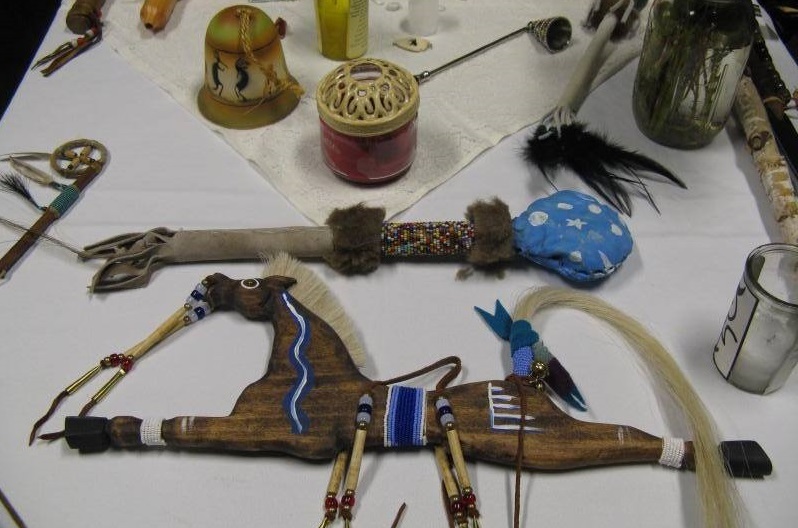 Around the time of the Michael Harner Foundation for Shamanic Studies (FSS) Two Week Shamanic Healing Intensive in Oct. 2013, my path was clear – the Spirit’s Edge Mystery School was formally announced. The Spirit’s Edge Mystery School brings together the teachings I have personally received in an intensive way from Spirit, my guides and my higher self. It also incorporates the beautiful teachings of many teachers and traditions under which I have intensively studied on the physical plane, such as the Toltec teachings from the don Miguel Ruiz family, the Foundation for Shamanic Studies and the Temple of Witchcraft, and also from other teachers that have had a profound impact on my life in many different ways, including Mickie Mueller, Ellen Dugan, Ted Andrews, Rhonda Leifheit, Christopher Penczak and Deborah Bourbon. Along the way, Dion Fortune officially became my official Master Teacher during the Living Temple of Witchcraft Descent of the Goddess/W5 weekend intensive in November 2012 – in the midst of this rebirth. Over the past year, I was asked by many to start teaching Witchcraft apprenticeships online as part of the Spirit’s Edge Mystery School, and the first one started on March 1, just two weeks ago at the New Moon. Yet in these journeys, in my meditations, in communion with my higher self, Spirit and the helping compassionate spirits, I was still ignoring two things. One was writing books – there are two I have been gifted the teachings to write, but that is a story for another day…baby steps, for the love of the Gods, please, lol! The other was creating a tradition. After much soul searching, I made a pilgrimage to Wales and received more messages and teachings from the inner planes. That was last August 2013. Yet I still managed to ignore it. Well, or pretended to ignore it. But what happens when you ignore your path, ignore your calling and do not answer the call of your Higher Self, of Spirit? Things around you change. People around you change. The path is opened. Spirit will find a way. There were more powerful shifts and changes opening the way, opening my eyes that I would finally see – and finally accept what it was that I am here to do in this lifetime. When you open yourself to the possibilities, when you release your fears, release the doubts or stories of others, and you open yourself to your right path, to the calling of your soul self, amazing things happen. The damn breaks loose, the messages flow through, Spirit flows through. It all happens. It just happens. I wrote about this some in my last blog on water and gratitude…all obstacles flow away. And I was finally open. More synchronicities and signs. The Riverfront Times found out about the Spirit’s Edge Mystery School and did an article on our work at Spirit’s Edge in February 2014. You can check it out HERE. At the same time, we had others approach us to write about our work. It all culminated in February 2014 when I was gifted with the name of this tradition that we are to create at Spirit’s Edge. It is the Spirit’s Edge Shamonial Tradition. It brings together both shamanism and ceremonial magick in the context of Witchcraft. It merges teachings, breaks boundaries, bringing these concepts into a cohesive whole. It is a tradition not easily pigeonholed into one thing or the other. 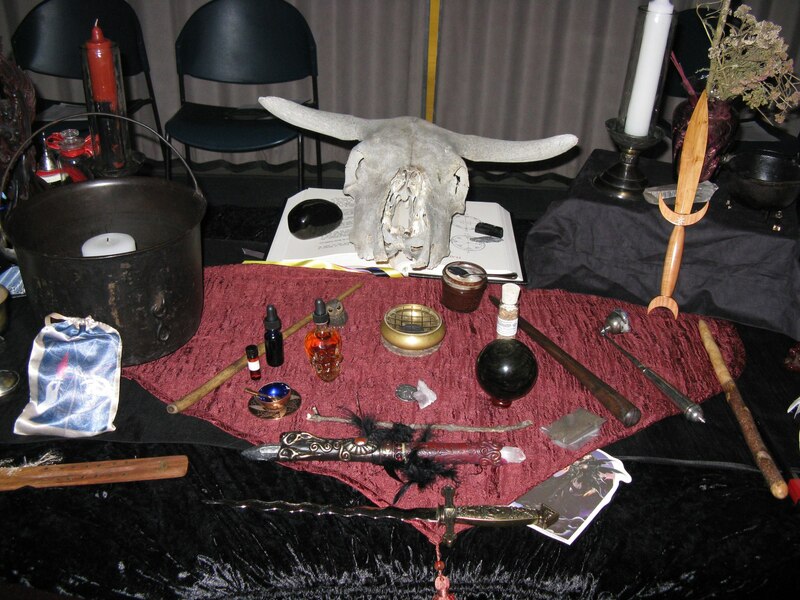 This is the altar from our Spirit’s Edge: A Seeker’s Salon Samhain ritual in 2012 with The Morrighan and a journey to the Kingdom of Faery. In the center, you can see the token for Spider. It also is a tradition that welcomes and honors those of all traditions. Just as our Spirit’s Edge: A Seeker’s Salon community has done, and why and how our community was forged and created. A Seeker’s Salon will always continue to be a welcoming community for all traditions – for all seekers. You are welcome to join our online community for discussions HERE – all are welcome to join! You can also check out our website at http://www.spiritsedge.org. Since the tradition’s name came through, the liturgy and teachings have been opening up like a waterfall cascading down the mountain from Spirit, picking up speed. Writings are beginning to enter into the Spirit’s Edge Mystery School Apprenticeships as part of the teachings. It will come through in rituals. It will come through in blogs. The teachings are there. They are here. It will come. 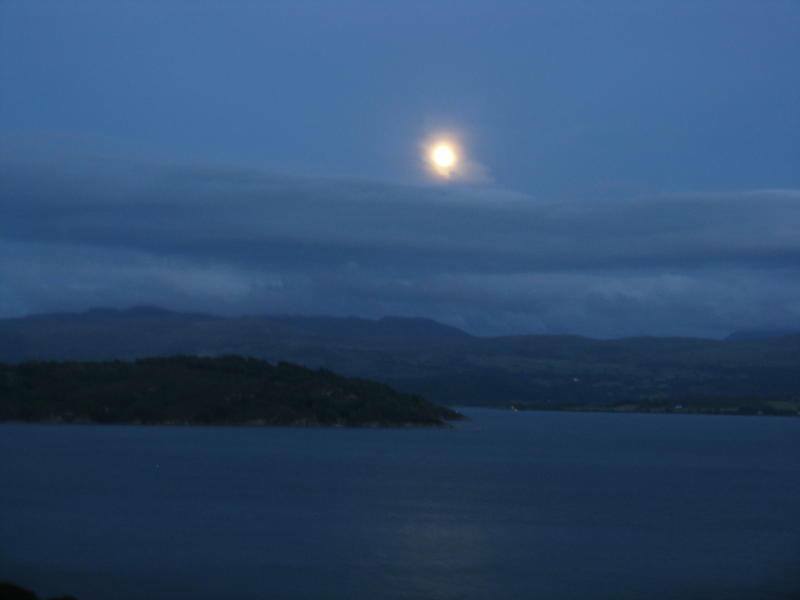 View of the Full Moon in Wales where we performed our Full Moon ritual on the Wales pilgrimage. It was my honor to perform the Great Rite (in token), with the Cup, with Steve. What a magickal night! A few weeks ago, just prior to the weekend intensive, I did some phone work with an elder in the Witchcraft community. I told her about the tradition and its name. I told her about the messages. Two weekends ago at the FSS weekend intensive, just a few days after that work, I knew it would be a powerful experience. I mean, “Shamanism, Dying & Beyond” – how could it not be? Yet, it was to be so much more. I am still processing it and will be for a long time to come. In that weekend, I received three more initiations. I partnered with a teacher on this plane who supported me in this Work and helped me bring this information through in tandem journeys. I received a powerful healing symbol and technique as part of this and a mission of healing. I received the formation of the entire tradition. The Mighty Dead. Shamanic. Ceremonial. Witchcraft. Ancestral. I met Aleister Crowley and Gerald Gardner for the first time. I met new deities who are part of this. Dion Fortune was with me. Lakota and Native American guides. All of my shamanic and ceremonial guides and teachers were with me. Past lives converged, teachings were brought forward and the current was renewed. Claim your birthright they said. And I did. The Staff. The Snake. Vesica Pisces. The circle was reborn. Hands to my face…face in palms… Oh my gods…are you kidding me?! I wrote furiously over lunch on our second day. There is a cosmology, there are two temples on the astral plane merged as one, and a Spirit’s Edge Shamonial Tradition temple that will be created on the physical plane just as it is there. A structure of the Mighty Dead and of this tradition, working together – the other world and this world, uniting as one. There are symbols, colors, deities. Powerful healing symbols. Pages and pages and more still coming. A golden book where this is all stored safely for me to draw from and pull it through to the physical plane. This is why Dion Fortune became my Master Teacher. This morning when I woke up, I spent time in the “between” as I do every morning in a meditative state. This blog was coming through. I had not intended to announce it now. I felt it wasn’t ready yet, like I have to write it all down first before anyone knows. Full moon tomorrow, a spiritual path coming to the beginning of fulfilment of a soul’s purpose for this lifetime, melding all times, all places and all lifetimes into one place, into one moment, into the present moment. O.k., makes sense. Yes. So here I am. More is to come. More will be shared. Starting first through our mystery school and rituals, later through this blog and other writings. The debut of our first Spirit’s Edge booth is at this year’s Pagan Picnic, and the formal announcement of the Spirit’s Edge Shamonial Tradition will be there. That seems to be such a time for us for firsts and debuts. When I went back for my second cup of coffee after I wrote this, who did I see out the window? Spider had dropped down on its thread with its blessing. Thank you Spider.